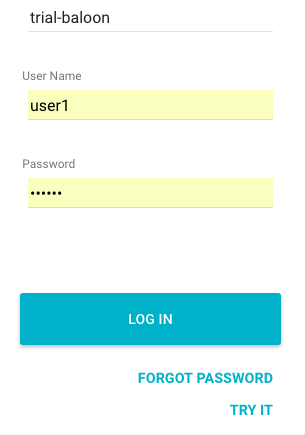 How to login to the Planning & Dispatching app. How to create a service call. How to release a service call. 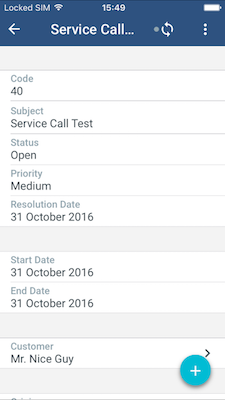 How to view the service call in the mobile application. The trial account includes a fair amount of "demo data" that you can use to create service calls. However, we will take a detour in the Master Data Management app to show how data created there can be used in service calls. This information will be used to log-in to all Field Service Management applications, so keep it somewhere handy. 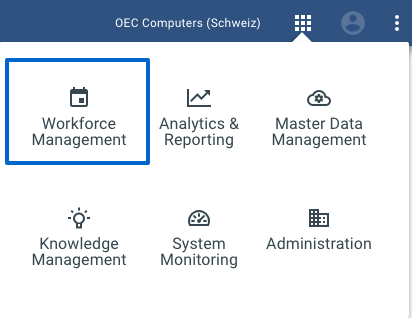 Before we settle into the Planning & Dispatching app, where you will be spending most of your time when you create and manage service calls, we are going to take a trip to the Master Data Management. That way, you can see how data can be created and managed from the application itself, and then used in service calls. Navigate to the Business Partner tab (located in the left-hand panel. Click the "add" icon (+) option. Name: give this Business Partner any name you'd like. Customer Type: here you can select what type of customer this is. Let's go ahead and select the Customer option. When you've finished giving our Business Partner a name and phone number, click the checkbox above. Congratulations! You've created your first Business Partner in the Master Data Management module. Now it's time to create your very first service call! After creating the Business Partner record, we'll navigate back to the Planning & Dispatching app. The application will now redirect you to the service call creation screen. Now it's time to enter the Business Partner information we created in the previous step (in my case, the one and only Mr. Nice Guy). Go ahead and search for the Business Partner you just created in the Customer field. And then give the service call a "subject" in the Details field. Now, it's time to drag and drop the new service call onto a technician schedule and release it. After you've dragged and dropped it, click the Release Assignment button above. 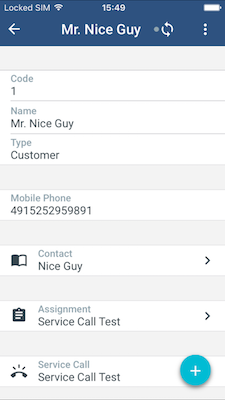 Now the service call assignment can be viewed in the Mobile Application! Navigate to the Google Play store and search using “Coresuite”. When completed, enter the account details created when signing up for your trial account. Navigate to the Apple iTunes App store and search using “SAP Field Service Management”. 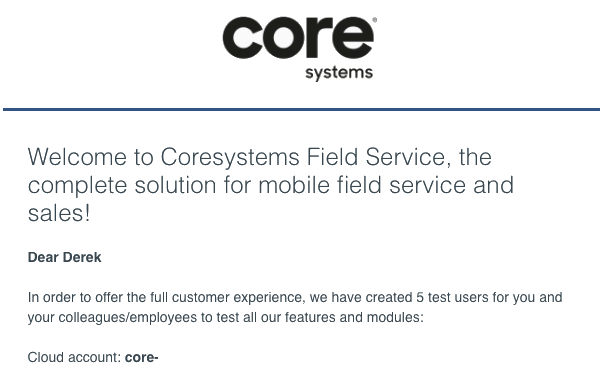 To Download the Field Service Mobile Windows Mobile client, you need to receive the application executable file from SAP FSM support. This can be done by contacting SAP FSM Support. Please note that you must have a SAP account to do so. 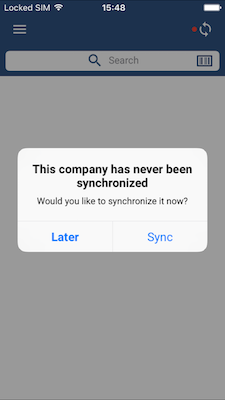 When first logging in, the application will display a dialogue stating that the company data has never been synchronized. Go ahead and select the Sync option. The company data will then be downloaded. Next, you will navigate to the Service Call tab. 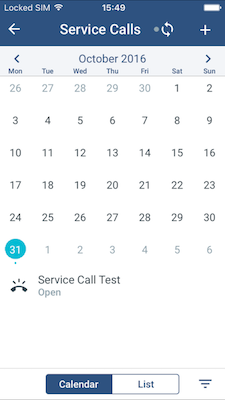 Below the calendar, you will see the service call you just released! How exciting! When you click on the Service Call, you will then see the information that was entered when creating the service call. Congratulations on creating, releasing, and viewing your very first service call in SAP Field Service Management. We feel strongly that there will be many more service calls to come. How data can be created and managed in the Master Data Management app. 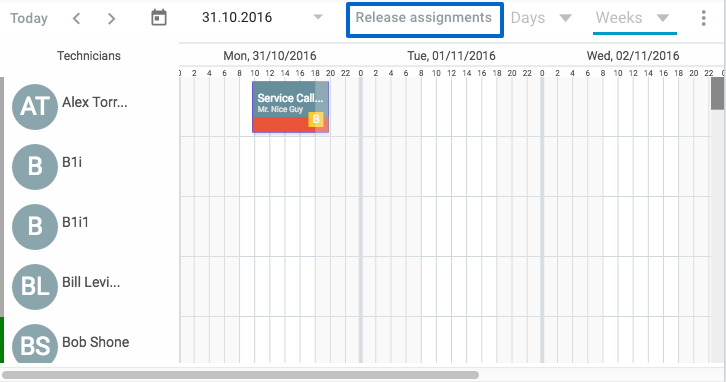 How to create a service call (and use some of the data created in the Master Data Management app). And, finally, how to view the service call on the mobile application. If you're ready for the next step, let's move on to Smartforms & Intelligent Feedback!